Book of the Month January 2018 Selections: What Book Should You Choose? The January picks include a number of judges departing from their usual types of selections. We have a massively hyped psychological thriller, a police procedural, a feel-good love story, a historical fiction set during the Spanish Flu epidemic, and yet another The Handmaid’s Tale copycat. I can’t say I’m super psyched about these selections. Fantastic news…the Book of the Month “Book of the Year” is The Heart’s Invisible Furies by John Boyne (my review)! I adored this book and was sorry to see the traditional media virtually ignore it in their Best Books of 2017 lists, so I couldn’t be more excited to see it top this list! If you missed it, check out my fun new tool to help you pick the best Book of the Month selection for your taste: my Ultimate Guide to the Book of the Month Judges and free, downloadable template (below) to help you find your go-to BOTM judge! I’ve added in the most recent judge’s selections, so download the new version even if you grabbed it last month! Elizabeth Siles is a new “Judge Emeritas,” so does not have a Book of the Month track record. 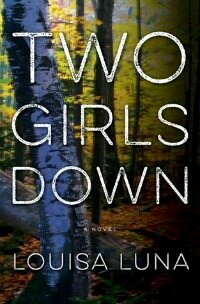 Two Girls Down is a police procedural and it sounds like genre mystery to me. It’s been blurbed by Lee Child and Michael Koryta, two big name genre mystery authors. Goodreads readers said it was a suspenseful whodunnit, fast-paced, and unputdownable, but that the plot was convoluted and overly confusing. There were also a couple mentions of undefined trigger warnings. Update: Review from Novel Gossip. Nina Sankovitch chooses mostly literary and historical fiction and has chosen a number of books I’d never heard of. This pick seems to be a departure for her. It is 1988. On a dead-end street in a run-down suburb there is a music shop that stands small and brightly lit, jam-packed with records of every kind. Like a beacon, the shop attracts the lonely, the sleepless, and the adrift; Frank, the shop’s owner, has a way of connecting his customers with just the piece of music they need. Then, one day, into his shop comes a beautiful young woman, Ilse Brauchmann, who asks Frank to teach her about music. […] But Ilse is not what she seems, and Frank has old wounds that threaten to reopen, as well as a past it seems he will never leave behind. […] The journey that these two quirky, wonderful characters make in order to overcome their emotional baggage speaks to the healing power of music–and love–in this poignant, ultimately joyful work of fiction. Joyce is known for charming, contemporary fiction and the plot of this one sounds like The Storied Life of A.J. Fikry with music instead of books. Eva at Paperback Princess (a blogger I trust) really enjoyed it despite not expecting to and thought it was “kind of a perfect book to combat all the garbage in the world.” Goodreads readers said it was an unconventional love story, a feel-good book, nostalgic, and delightful, but a couple readers who loved her Harold Frye series said it was boring. Kim Hubbard is my #1 Go-To Judge, so I trust her opinion. Kim’s picks have been eclectic in the past, but The Music Shop sounds more “feel-good” than her past fiction choices. But just months after they arrive, the Spanish Flu reaches the shores of America. […] But even as they lose loved ones, they take in a baby orphaned by the disease who becomes their single source of hope. Amidst the tragedy and challenges, they learn what they cannot live without—and what they are willing to do about it. As Bright as Heaven is historical fiction set during the 1918 Spanish Flu epidemic. Its Goodreads reviews are outstanding…I had to dig deep to find anything negative at all. Goodreads readers said the story is well researched and told from multiple perspectives; it’s heartfelt and gorgeously written. People seemed to like the characters and said readers might need tissues. The one negative comment I found was that it was a bit predictable. Stacey Armand has picked a thriller and a Young Adult (YA) in the past, so this choice is a departure for her. I haven’t read any of her past choices. Along with Gather the Daughters , The Power , and Future Home of the Living God , Red Clocks is yet another The Handmaid’s Tale copycat (i.e. feminist dystopian). Susie at Novel Visits (a blogger I trust) DNF’d it around the halfway mark with the caveat that she wasn’t fully able to focus on it. As far as where it falls among The Handmaid’s Tale copycats, she said she was liking it better than Future Home of the Living God, but not as much as The Power or Gather the Daughters. Goodreads readers said it was important, tackled big issues, and had beautiful writing, but was slow, hard to get into, and lacked emotional pull. Some readers did say it was worth it in the end if you could make it through the slow beginning. Cristina Arreola has selected thrillers in the past, so this is a departure for her. She’s not one of my Go-To Judges. What Book of the Month Club January 2018 selection(s) will I choose? For the second month in a row, I’m going to skip. Despite my #1 Go-To Judge (Kim Hubbard) making an appearance this month, the book she selected just does not sound like something that would appeal to me. If I was a historical fiction fan, I’d choose As Bright As Heaven since the Goodreads reviews are so outstanding. Make your Book of the Month Club selections by Saturday, January 6th. NEW MEMBER DEAL: Anyone who purchases a new BOTM subscription will get 1 month free! Use code MYBOTM. NEW ANNUAL PAYMENT DEAL: BOTM is now a monthly subscription service. However, given that some members preferred paying upfront, they are now offering a 12-month option. Members who sign up for 12 months will pay $149.99/year. That’s $12.50/book, instead of the standard price of $14.99/month. I’m back to blogging, as of today. And I just made my pick for ‘Book of the Month’. 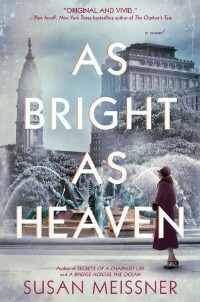 I’m not a big historical fiction fan, but I selected AS BRIGHT AS HEAVEN. It looked promising. Thanks for all the info and take care. Glad to see you back! Hope As Bright As Heaven works out well! I’m probably most interested in As Bright As Heaven with The Music Shop a close second. I’m going to wait and get both at the library. Happy New Year Sarah!! Yay – you can vet them for me! Neither looked up my alley enough to go for it without trusted source reports. Hmmm…tough choices this month. 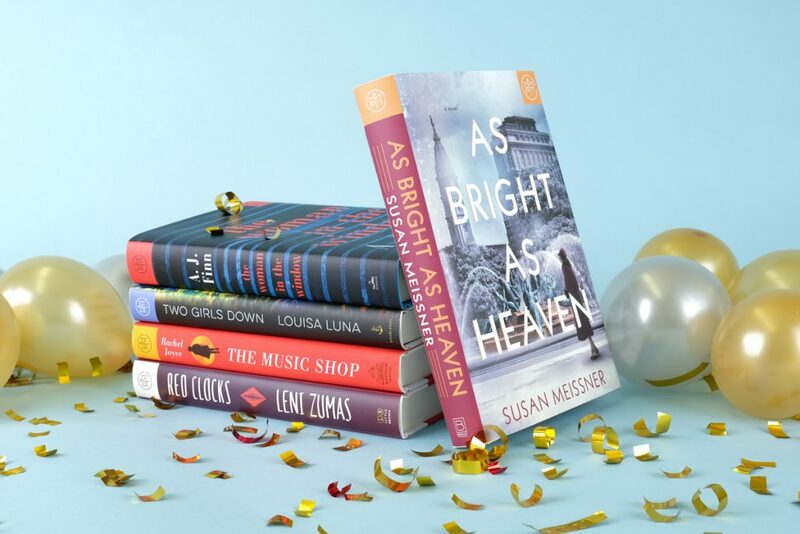 I hadn’t heard much about As Bright As Heaven, so it’s nice to get some info on it, but I’m still not convinced I want to read it. 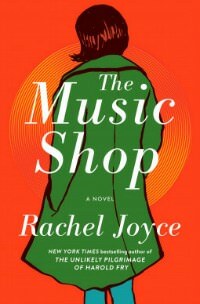 The Music Shop might be perfect for a hangover book or when something lighter is needed. I’m really curious to hear from someone else about Red Clocks. Even when I reread the blurb, it makes me question if I should have kept going. Happy 2018, Sarah! I’ll definitely be curious to hear what others have to say about Red Clocks, but the Goodreads reviews were decently similar to your thoughts. I’m listening to The Music Shop but find my mind wandering because of the narrator. I wish I’d picked it up in print. Oh no – that’s frustrating. I’m skipping this month too. 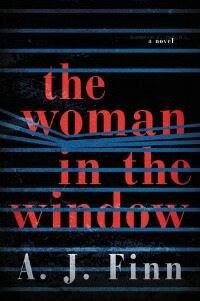 I usually go for the thrillers, but Two Girls Down sounds weird (the word “bounty hunter” was enough), and I have an arc of The Woman in the Window and haven’t been able to read more than a few pages — the writing style sounds weirdly forced to me. Happy new year! Yeah – the bounty hunter totally turned me off. And good to know about Woman in the Window! There have been a lot of Handmaid’s Tale knockoffs lately. I’m curious about some of them, including Red Clocks. From this list, I’d probably choose As Bright As Heaven. I love historical fiction. Happy New Year! Sigh. I already have a copy of Red Clocks, so we’ll see how that goes; I was pretty excited about it, but now I’m not so sure – ha! I did decide to go with The Music Shop; I think it’ll be a good way for me to get a little bit outside of my usual wheelhouse and I did really enjoy Harold Fry. I’ll keep you posted! So glad to get your view on The Music Shop! I might read it later if people seem to like it. I skipped too! None of these really clicked for me as something I’d love to read, and to add another hardcover to my already overstuffed shelves, I need to be pretty excited about it. I do love having the option to skip without penalty. I agree – an awesome option! I wouldn’t be able to choose between Red Clocks and The Woman in the Window. I just requested review copies of both and am crazy looking forward to reading them! 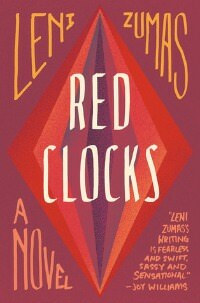 I’m just hoping that Red Clocks lives up to my expectations and doesn’t turn out to be the huge bummer The Power was. It might be taking a bit of a chance, but I have to try. I need more feminist fiction in my life right now. Nooooo! If Susie DNF’d it, that does not bode well! Well, I have a copy on the way, so hopefully, I’ll like it better than she did. I’m so so thrilled to hear this and you’re the second person to send me something like this! Kudos to John Boyne for writing such an amazing book. I keep hearing of more and more people who love it and I’m hoping it gains steam by word of mouth and bloggers shouting from the rooftops…b/c the mainstream media sure missed the boat on this one (it was only on a very few Best Books of 2017 lists)! I don’t do Book of the Month, because it would just be one more book to add to my pile in hopes that I get time to read it SOME day. But if I got to choose one this month, it would be ‘As Bright As Heaven’. Historical fiction is my go-to genre, and I’ve enjoyed everything I’ve read by Susan Meissner! Haha – I hear you! I just read Eva’s review of The Music Shop and it sounds promising. I also liked her Harold and Queenie books. But I can also see how this type of book might not be for everyone. I like them for when I’m in the mood for something heartwarming. I was already excited about The Music Shop, so I’m glad your sources seem to have good things to say about it!